Larry Vann â€œShotgunâ€� Clark was born on April 25th 1949 in Mitchell, South Dakota to Melvin and Emma Clark. The family moved a lot in the early years and spent time in Minnesota, Nebraska, Montana and South Dakota before settling in Rapid City, SD with his Mother and Sister. Larry was active in the Salvation Army band and was a member of the Boy Scouts where he reached the Rank of First Class. Larry received his High School Diploma in Long Bin, Vietnam where he served after joining the U.S. Army on May 14, 1967. He also served at Fort Brag, NC and in Germany. He was Honorably Discharged as a Specialist 5 on May 14, 1970 and returned to Rapid City. Larry worked at Reptile Gardens, was a bartender, traveled with a rock band and spent a summer with the carnival while attending Black Hills State College, where he was working on a teaching degree. In 1974 he moved to Sioux Falls and worked as a carpenter, in maintenance at Sioux Valley Hospital, as a main office installer for the phone industry and at Gateway Computers as a technician. In 2000 Larryâ€™sâ€™ fight with injuries received in Vietnam became too much and he was placed on permanent disability. Larryâ€™s love for motorcycles started at the age of 13 when his Mother reluctantly let him get a used 1940 James. For most of his adult life people knew Larry as Shotgun. Larry was active in the motorcycling community, serving as president of Sioux Falls ABATE and as South Dakota State Coordinator. 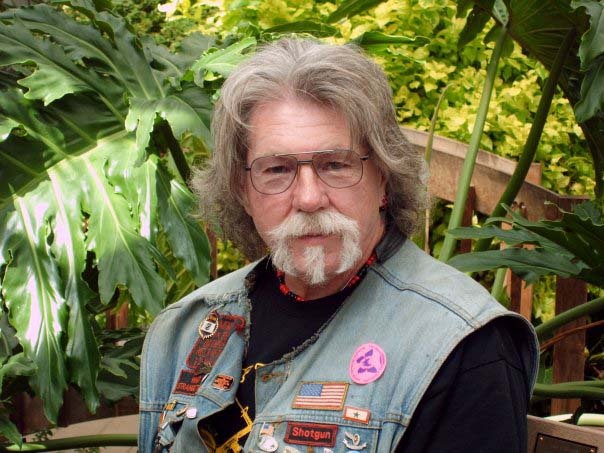 In 1993 Larry left the Independent American Brotherhood, a club he help form, to join the Viet Nam Vets Motorcycle Club where he served as a regional president for 5 years and was an active member of Chapter â€œCâ€� Sioux Falls where he just received his 20 year patch. Larry was also a member of the American Legion and a life member of the VFW and attended Ridgecrest Baptist Church. Shotguns last ride was to New Orleans with his close friends Rat, Mary and Diane to meet up with his brothers of the VNV M/C for their National meeting in September. Larry was preceded in death by his father Melvin, mother Emma and niece Angela. He is survived by his sister LeeAnn Patterson of Tucson, AZ, son Mike Dowling and his wife Connie of Bismarck, ND, Tim Clark and his wife Brandy of Sioux Falls, daughter Tilleesha Melow of Piper City, IL, his nephew Chad Weaver and his wife, Miranda, and also his beloved grandchildren Nicole Evans, Austin Clark, Carson Dowling, Anthony Clark, Kaden Dowling, Jacob Clark, Emma Melow and Hailey Clark, and nephews Calvin, Ben and Colton Weaver. All his Brothers of the Viet Nam & Legacy Vets M/C and all the people that touched his life and heart. Visitation will be 12 noon on Saturday with a Memorial Service at 4 PM at Barnett-Lewis Funeral Home.